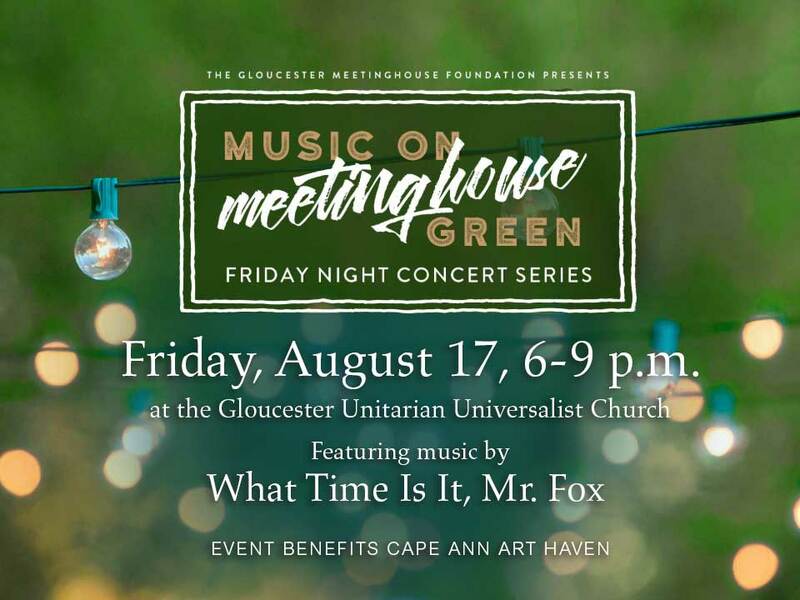 In the spirit of giving back to the community Gloucester Meetinghouse Foundation hosts Friday Night Concert Series to benefit local non-profit organizations. The public is invited to make a free-will donation (So if you can, please bring cash/check.) This week's organization is Art Haven. Music provided this Friday by "What Time Is It, Mr. Fox?" Food provided by Short and Main. Crafts provided by Art Haven. About "What Time Is It, Mr. Fox?" 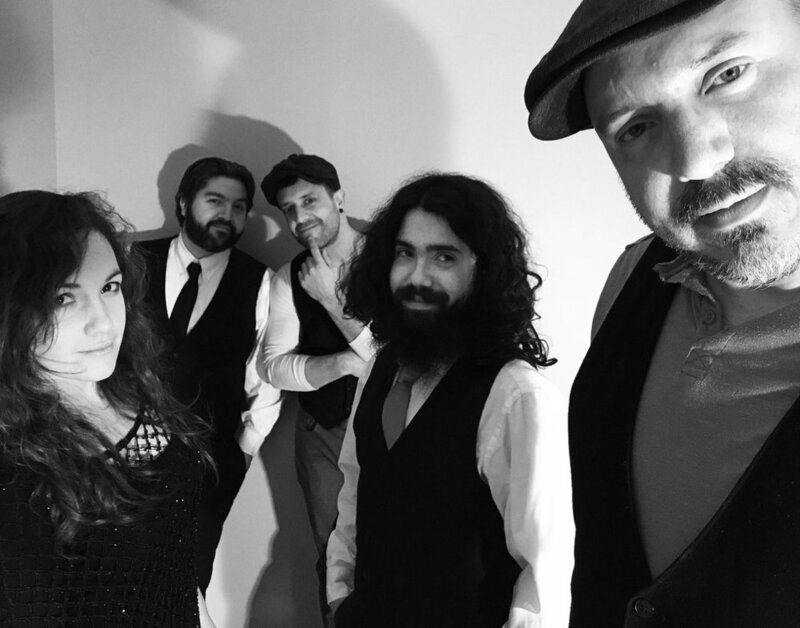 Led by the gender-defying voice of Brian King, the ensemble delivers their own brand smoky cabaret, neo-soul and acoustic noir, sounding something like Tom Waits and Amy Winehouse performing in a French cafe. What Time Is It, Mr. Fox? is known for its original songs which marry rich lyrical imagery with a cinematic sensibility, exploring themes of love, spirituality, sexuality, and identity. Whether stripped down for acoustic coffeehouses and living room concerts or immersive multimedia shows in clubs and theaters, Mr. Fox brings honesty, energy, and emotional authenticity to every performance. For more information visit Gloucester Meetinghouse Foundation.